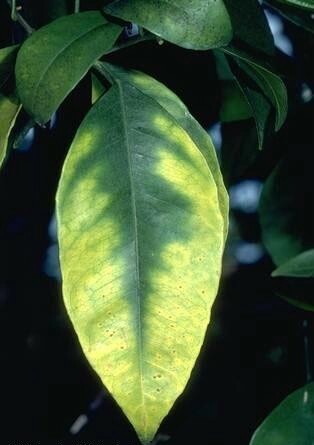 If leaves on your citrus trees are looking pale, magnesium or iron deficiency are most likely the cause. This problem often appears in autumn. See: Pale citrus leaves. Add compost to the bed where you plan to plant garlic during Full Moon phase later this month. Also check that soil pH is close to neutral (7.0). Gardeners in temperate climates can plant spring bulbs and lilies this month, and gardeners in temperate and cool climates can divide irises and daylilies. The following gardening advice is an abbreviated list for vegetables, fruit trees and some culinary herbs that can be sown or planted during February in Australia and New Zealand. A comprehensive monthly guide that includes planting times for the entire garden, as well as when to fertilise, prune, weed, take cuttings or divide plants, can be found in the diary section of my book Easy Organic Gardening and Moon Planting (Scribe Publications, 2006, 2009, 2012, 2017), and e-book (Booktopia 2012, 2017). 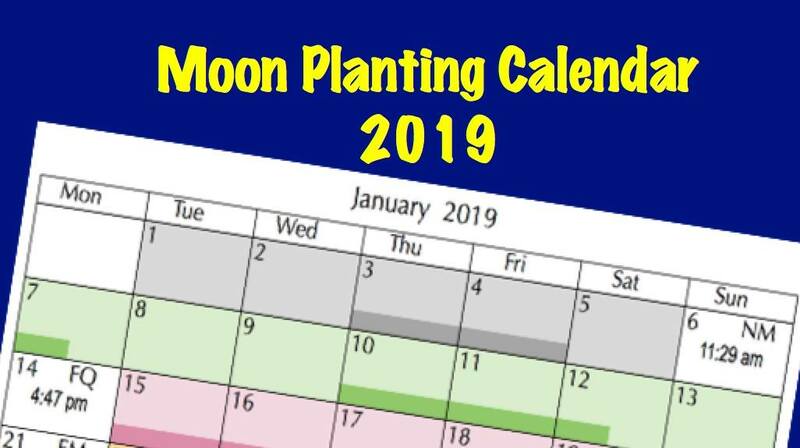 * For gardeners who do not use moon planting: sow or plant out any of the following list at any time this month, although you may find germination is weaker when the Moon is in Last Quarter phase. Before the Full Moon, cabbage, headed and open Chinese cabbage, grain crops, lettuce, mizuna, radicchio, rocket, silver beet (pre-soak seed), spinach, tatsoi, coriander, and nasturtium can be sown directly into beds, also a green manure crop of, chick pea, white clover faba bean, field pea, cereal rye, Japanese millet, oats, triticale, or wheat. Celery, leek, spring onions, parsley, bulb fennel and chamomile can be sown or planted out. During First Quarter phase, broad beans, fast maturing broccoli, peas and nasturtium can be sown directly into beds. During Full Moon phase, carrot, garlic, radish, swede and turnip can be sown directly into beds, and early-season onion, mint, rosemary, thyme and watercress can be sown or planted out. Globe artichoke suckers, lemon grass, strawberries, pineapple, and evergreen trees, shrubs, and vines can be planted. Before the Full Moon, cabbage, headed and open Chinese cabbage, grain crops, lettuce, mizuna, radicchio, rocket, silver beet (pre-soak seed), spinach, tatsoi, coriander, and nasturtium can be sown directly into beds, also a green manure crop of cereal rye, lablab, Japanese millet, oats, or triticale. Celery, leek, spring onions and parsley can be sown or planted out. During First Quarter phase, bush and climbing beans, fast maturing broccoli, peas, and nasturtium can be sown directly into beds, and cucumber, pumpkin, rock melon, summer squash, tomato, watermelon and zucchini can be sown or planted out. During Full Moon phase, beetroot (pre-soak seed), carrot, parsnip, potato, radish and swede can be sown directly into beds, and lemon grass, strawberries, pineapple, dandelion and oregano can be sown or planted out. Evergreen trees, shrubs, and vines can be planted. Before the Full Moon, bulb fennel, cabbage, headed and open Chinese cabbage, grain crops, lettuce, mizuna, radicchio, rocket, spinach, tatsoi and coriander can be sown directly into beds, also a green manure crop of faba (broad) bean, field pea, barley, cereal rye, oats, triticale, or wheat. Chickpea can be sown in frost-free areas. Leek, spring onions, chamomile and parsley can be sown or planted out, also silver beet (pre-soak seed) in frost-free areas. During First Quarter phase, broccoli can be sown directly into beds, also broad beans and peas in frost-free areas. During Full Moon phase, radish, swede turnip, turnip, and garlic can be sown directly into beds, and early season onion can be sown or planted out. Globe artichoke suckers, strawberries and lemon grass can be planted, also evergreen trees, shrubs, and vines in frost-free areas. 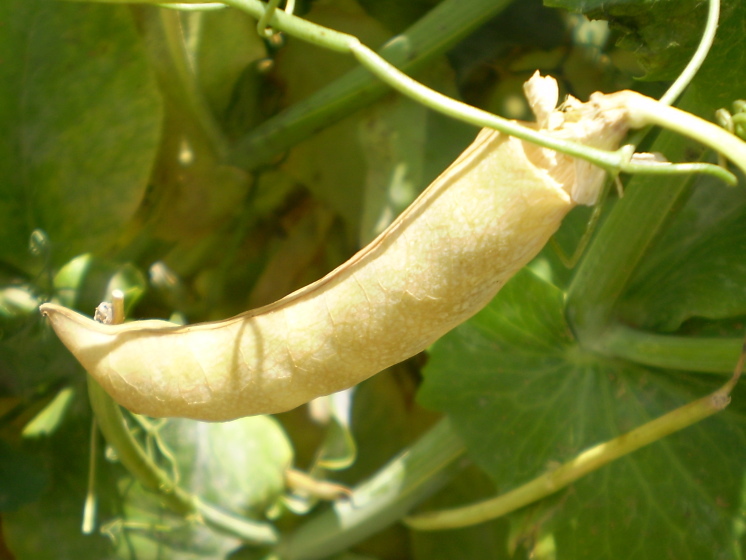 Before the Full Moon, grain crops, lettuce, spinach can be sown directly into beds, also a green manure crop of faba (broad) bean, field pea, oats, or triticale. Leek can be planted out. Avoid sowing broad beans and peas too early in frost areas. Although the plants are frost-hardy, the flowers are not. During Full Moon phase, radish and turnip can be sown directly into beds, and early season onion can be sown or planted out. Swede and garlic can be sown in warmer areas, and raspberry and currants can be planted in cold areas. 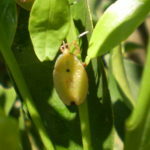 Extreme weather events across the country lately have created conditions that encourage garden pests. 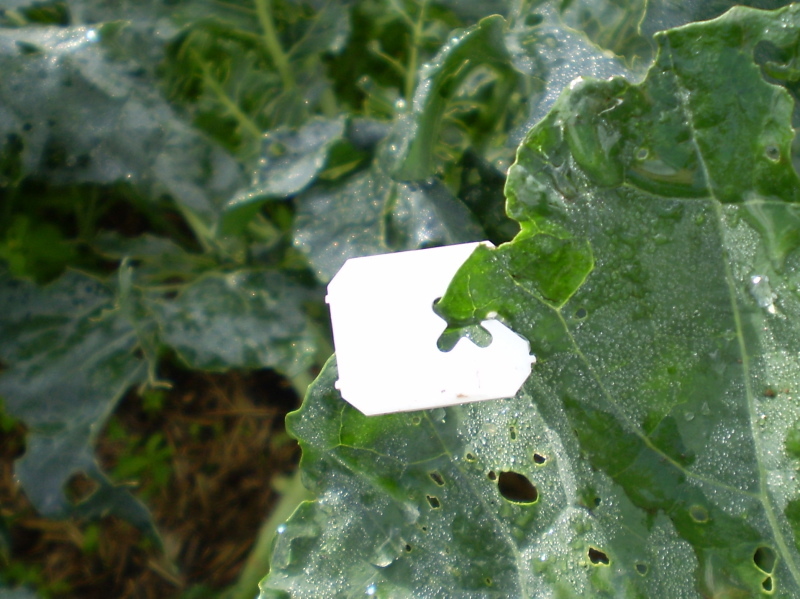 If cabbage butterflies or cabbage moths are attacking your brassica plants, attach the plastic clips from packaged bread to the edges of some of the leaves as a pest deterrent. They look as though pests are already laying eggs on those plants use white clips for butterflies, beige for cabbage moth. See: Cabbage white butterfly. 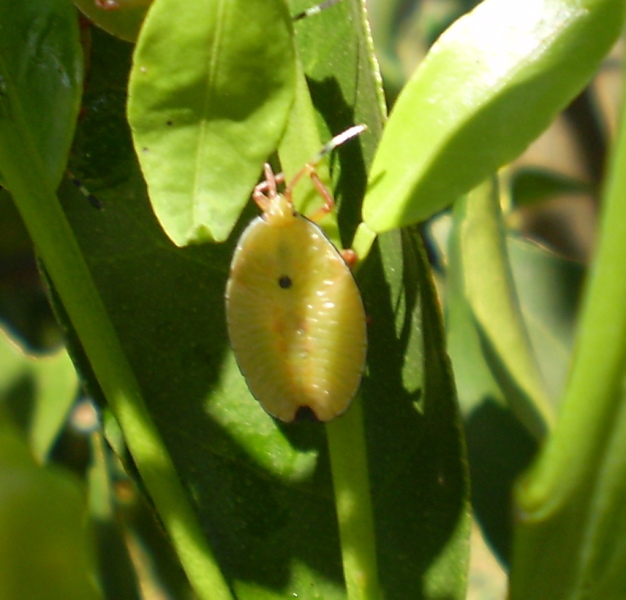 If you find yellow cocoons on your brassicas, don’t destroy them, they belong to beneficial insects. See: Cocoons on brassicas. 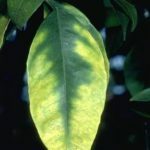 Nutrient deficiencies often appear on citrus trees in early autumn, particularly magnesium (yellowing in older leaves) or iron (yellowing starts in young leaves) deficiencies, and these deficiencies will affect the quality of your crop. To correct any problems, see: Pale citrus leaves. Passionfruit vines that have produced a good summer crop will benefit from a light application of complete organic fertiliser tucked under the outer edges of the mulch. It is also time to select your spring-flowering bulbs for planting through autumn. The following gardening advice is an abbreviated list for vegetables, fruit trees and some culinary herbs that can be sown or planted during February in Australia and New Zealand. A comprehensive monthly guide that includes planting times for the entire garden, as well as when to fertilise, prune, weed, take cuttings or divide plants, can be found in the diary section of my book Easy Organic Gardening and Moon Planting (Scribe Publications, 2006, 2009, 2012, 2017), and e-book (Booktopia, Dymocks, Kobo and Amazon 2017). Before the Full Moon, bulb fennel, cabbage, headed and open Chinese cabbage, grain crops, lettuce, mizuna, radicchio, rocket, silver beet (pre-soak seed), tatsoi, chamomile, coriander, nasturtium and sunflower can be sown directly into beds, as well as a green manure crop of strawberry or white clover, Japanese millet, oats, field pea or triticale. Celery, leek, spring onion, sweet basil and parsley can be sown or transplanted. During First Quarter phase, broccoli, bush and climbing beans and peas can be sown directly into beds, and tomato and zucchini and can be sown or transplanted. During Full Moon phase, beetroot (pre-soak seed), carrot, parsnip, and radish can be sown directly into beds, and cauliflower, early season onion, swede turnip, turnip, lemon balm, lemon grass, marjoram, oregano, rosemary, thyme and watercress can be sown or transplanted. Globe artichoke suckers, strawberries, avocado, citrus, olive and pineapple can be planted. Before the Full Moon, nasturtium and sunflower can be sown directly into beds, as well as a green manure crop of Japanese millet, lablab, oats or triticale. Cabbage, leek, silver beet (pre-soak seed), spring onion and chamomile can be sown or transplanted. During First Quarter phase, broccoli, and bush and climbing beans can be sown directly into beds, and capsicum, cucumber, egg plant, pumpkin, rock melon, summer squash, sweet corn, tomato, watermelon and zucchini can be sown or transplanted. During Full Moon phase, beetroot (pre-soak seed), carrot, parsnip and radish can be sown directly into beds, and lemon grass and oregano can be sown or transplanted. Citrus, pineapple and strawberries can be planted. Before the Full Moon, bulb fennel, cabbage, headed and open Chinese cabbage, grain crops, lettuce, mizuna, radicchio, rocket, silver beet (pre-soak seed), tatsoi and coriander can be sown directly into beds, as well as a green manure crop of red or strawberry clover, faba bean, field pea, barley, cereal rye, oats, triticale or wheat. Leek, silver beet , spring onion, chamomile and parsley can be sown or transplanted. In warmer areas, celery and chickpea can also be sown. In colder areas, also sow English spinach and sow Brussels sprouts directly into beds. During First Quarter phase, cauliflower can be sown directly into beds, and broccoli can be sown or transplanted. In warmer areas, peas can also be sown directly into beds. During Full Moon phase, beetroot (pre-soak seed), carrot, radish, swede turnip and turnip can be sown directly into beds, and early season onion, globe artichoke, lemon balm, marjoram, rosemary, thyme and watercress can be sown or transplanted. Globe artichoke suckers, strawberries, avocado, citrus and olive can be planted. In warmer areas, parsnip, mango, and pineapple and oregano can also be sown or planted. Before the Full Moon, headed and open Chinese cabbage, grain crops, lettuce, mizuna, English spinach and tatsoi can be sown directly into beds, as well as a green manure crop of clover, faba bean, field pea, cereal rye, oats, triticale or wheat. Leek and spring onion can be sown or transplanted. In warmer areas, cabbage, radicchio, coriander and rocket can also be sown. During First Quarter phase, suitable broccoli can be sown or transplanted in warmer areas. During Full Moon phase, radish, swede turnip, turnip and garlic can be sown directly into beds, and strawberries, mint and watercress planted. Extreme weather conditions may continue this month, with heavy rain in some areas and fierce heat in others. Gardening efforts may be limited to collecting the fruits of your labour and taking advantage of cooler parts of the day to prepare beds for gardening in more pleasant conditions. 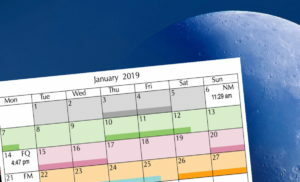 * For gardeners who do not use moon planting: sow or plant out any of the following list for your climate zone at any time this month, although you may find germination rates are lower when the Moon is in Last Quarter phase. Before the Full Moon, leek, sweet and purple basil can be sown or planted out, also celery, spring onions, in late February. 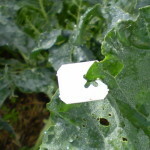 Cabbage and silver beet (pre-soak seed), can be sown directly into beds (also lettuce in late February), as well as a green manure crop of millet, mung bean, pigeon pea, or Japanese millet. During First Quarter phase, bush and climbing beans and sweet corn can be sown directly into beds. Capsicum, cucumber, tomato and zucchini can be sown or planted out, also broccoli, cauliflower and spring onions in late February. During Full Moon phase, beetroot (pre-soak seed), carrot, parsnip, potato (Brisbane and areas south), radish, swede turnip and turnip can be sown directly into beds, and watercress, avocado, banana, mango, and pineapple can be planted out. Before the Full Moon, a green manure crop of lablab, mung bean, pigeon pea, or Japanese millet can be sown. During First Quarter phase, capsicum and tomato can be sown or planted out in suitable areas. Sweet corn can be sown directly into beds. During Full Moon phase, lemon grass can be sown or planted out. Before the Full Moon, cabbage, lettuce, radicchio and silver beet (pre-soak seed) can be sown directly into beds, as well as a green manure crop of cowpea (early), mung bean, barley, Japanese millet, oats, or triticale (also cereal rye late in February). Brussels sprouts, leek and spring onions can be sown or planted out (also bulb fennel and celery in late February). Sweet basil can be also sown in warmer areas. During First Quarter phase, bush beans can be sown directly into beds (also sweet corn in warmer areas), and broccoli, cauliflower and summer squash can be sown or planted out. 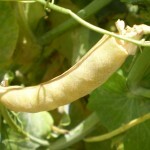 Peas can be sown in colder areas in late February. During Full Moon phase, beetroot (pre-soak seed), carrot, parsnip, radish, swede turnip, and turnip can be sown directly into beds. Dandelion, mint and watercress can be sown or planted out. Also avocado, potato, mango, and pineapple can be planted in warmer areas (- best time late February or early March this year). Before the Full Moon, cabbage, lettuce and silver beet (pre-soak seed) can be sown directly into beds, as well as a green manure crop of mung bean or oats (plus barley late in February). Leek, lettuce, silver beet (pre-soak seed), spring onions and parsley can be sown in punnets or planted out. In warmer areas, also sow or plant out Brussels sprouts (early), and radicchio. In colder areas, also sow or plant out open Chinese cabbage, mizuna and tatsoi, plus English spinach in late February. During First Quarter phase, broccoli can be sown. In warmer areas, cauliflower and peas can be sown directly into beds. During Full Moon phase, beetroot (pre-soak seed), carrot, radish, swede turnip, and turnip can be sown directly into beds, and watercress can be sown or planted out. In warmer areas, also sow parsnip directly into beds. In colder areas, also sow garlic directly into beds. 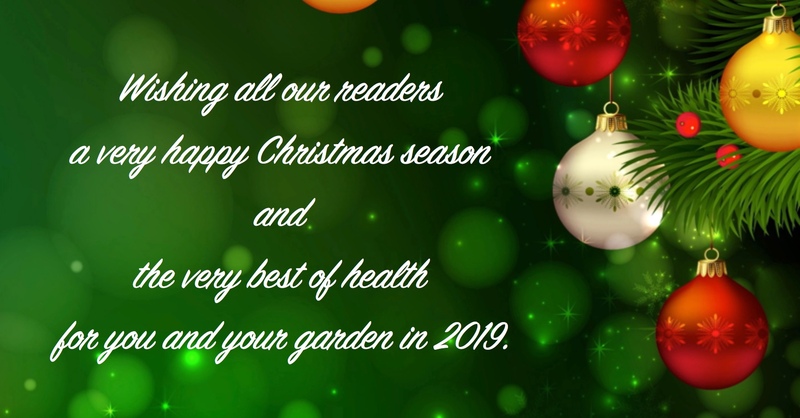 Wishing all our readers a very happy, healthy 2019. January and February can be tricky months for gardening in some parts of Australia with extreme heat and severe storms, and gardeners will have to adjust their planting to suit local climate conditions. In heat waves, moisture loss from soil can be severe and using shade for your plants or using PET bottles (as shown in the illustration) to efficiently water heat-sensitive plants can make life easier for you and your garden. If it is too hot to grow things in your area, use the time in the coolest parts of the day to do a good job of preparing beds for strawberries, leeks and winter vegetables. Or put a chair under a shady tree and admire the decorative parts of your garden. The following gardening advice is an abbreviated list for vegetables, fruit trees and some culinary herbs that can be planted during January in Australia and New Zealand. A comprehensive monthly guide that includes planting times for the entire garden, as well as when to fertilise, prune, weed, take cuttings or divide plants, can be found in the diary section of my book Easy Organic Gardening and Moon Planting (Scribe Publications, 2006, 2009, 2012, 2017), and e-book (Booktopia, Dymocks, Kobo and Amazon 2017). 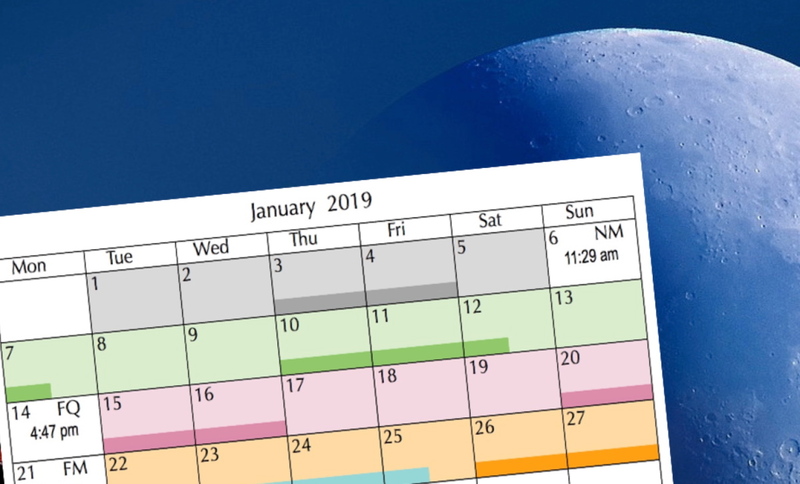 Moon planters may like to use Aussie Organic Gardening’s Moon Planting Calendar for 2019. Click on the link in the menu bar above. Before the Full Moon, silver beet (pre-soak seed), and sunflower can be sown directly into beds, as well as a green manure crop of adzuki bean, cow pea, lablab, millet, mung bean, pigeon pea, Japanese millet, or sorghum. Leek can be sown in late January. During First Quarter phase, eggplant, rockmelon, summer squash, tomato, and watermelon can be sown, also cucumber in late January. Bush and climbing beans, and sweet corn can be sown directly into beds. During Full Moon phase, lemon grass, mango, pineapple and watercress can be sown or planted out. Beetroot (pre-soak seed), carrot, parsnip, potato and radish can be sown directly into beds, also seed potatoes in Brisbane and areas south. Before the Full Moon, a green manure crop of adzuki bean, cowpea, lablab, mung bean, pigeon pea, Japanese millet, or sorghum can be sown in suitable areas. Sweet corn can also be sown as a green manure crop, and slashed when it is knee high. During First Quarter phase, sweet corn can be sown directly into beds where heavy rains will not damage pollination. During Full Moon phase, lemon grass and mango can be sown or planted out. Before the Full Moon, Brussels sprouts, leek and spring onions can be sown or planted out. Cabbage, suitable lettuce, and silver beet (pre-soak seed) can be sown directly into beds, (also nasturtium and sunflower in warmer areas), as well as a green manure crop of cow pea, millet, mung bean, pigeon pea, Japanese millet, or sorghum. During First Quarter phase, bush and climbing beans and sweet corn can be sown directly into beds. Cauliflower, cucumber and leek can be sown or planted out, also rockmelon, summer squash, tomato, watermelon, and zucchini in warmer areas. During Full Moon phase, beetroot (pre-soak seed), carrot, parsnip and radish can be sown directly into beds, and lemon grass and watercress can be sown or planted out. Pineapple, potato and mango can also be sown or planted out in warmer areas. Before the Full Moon, Brussels sprouts, leek, lettuce, spring onions, sweet basil and parsley can be sown or planted out. Cabbage, grain crops, lettuce, silver beet (pre-soak seed) and dwarf sunflower can be sown direct, as well as a green manure crop of mung bean or millet. In colder areas, bulb fennel, open Chinese cabbage, dill, mizuna, and tatsoi can also be sown directly into beds. During First Quarter phase, broccoli, cauliflower and zucchini can be sown or planted out, and bush and climbing beans can be sown directly into beds (also peas in colder areas). During Full Moon phase, beetroot (pre-soak seed), carrot, parsnip, and radish can be sown directly into beds, and dandelion, mint, sage, and watercress sown or planted out (also pyrethrum in colder areas). December and January are very busy months for most people, and many of you won’t have a lot of time to spare for gardening, or even watering the garden. 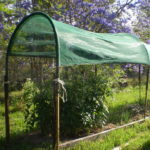 Setting up some shade for your garden beds now, will provide protection in the hottest part of the day during summer’s hot weather, and prevents sun-scald of fruits and vegetables. 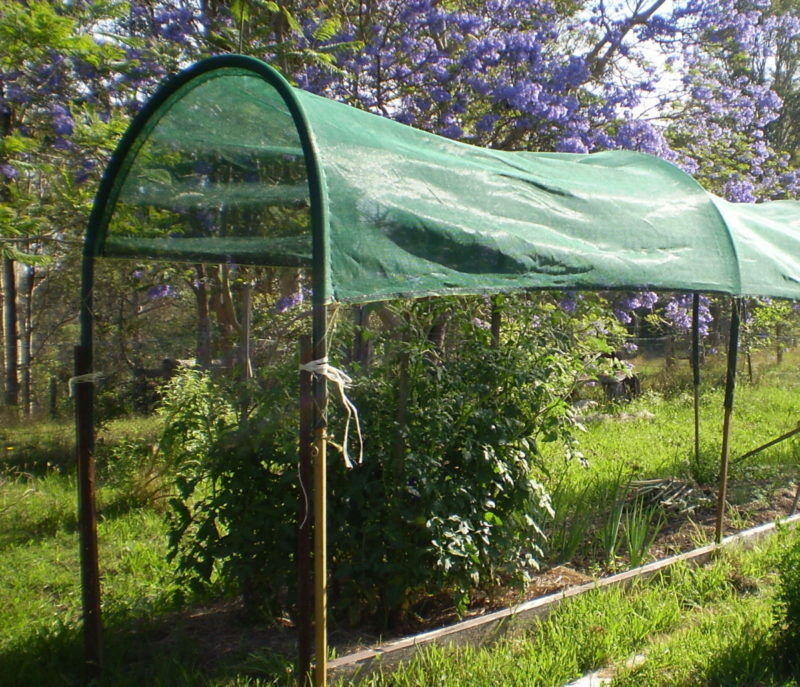 A shade cover also reduces the amount of watering you need to do as it traps humidity around the plants and prevents wilting in extreme heat. See: Sun and heat protection. If you aren’t able to provide some shade, mulching all garden beds will keep soil cooler and prevent moisture evaporation, saving you time from watering. For those who have a some time to spare this busy month, the following gardening advice is an abbreviated list for vegetables, fruit trees and some culinary herbs that can be sown or planted during December in Australia and New Zealand. A comprehensive guide that includes planting times for the entire garden, as well as when to fertilise, prune, take cuttings or divide plants, can be found in the diary section of my book Easy Organic Gardening and Moon Planting (Scribe Publications, 2006, 2009, 2012, 2017), and e-book (Booktopia, Dymocks, Kobo and Amazon 2017). If your area has a wet season in the next few months, it might be wiser to not sow sweet corn this month, as heavy rain will prevent good pollination. Corn of any variety can be sown as a green manure crop, though, because green manure plants are cut down when about knee high. Before the Full Moon, silver beet, nasturtium and sunflower can be sown directly into beds, as well as a green manure crop of adzuki bean, cow pea, lablab, mung bean, pigeon pea, soybean, Japanese millet, millet, or sorghum. During First Quarter phase, bush and climbing beans, eggplant and pumpkin can be sown directly into beds, and capsicum, rock melon, summer squash, tomato, watermelon and zucchini can be sown or planted out. During Full Moon phase, beetroot, carrot, parsnip, radish, and watercress can be sown directly into beds. Banana passionfruit, lemongrass, passionfruit and dandelion can be sown or planted out, and banana, mango, pineapple and mint can be planted. Cuttings of mint, oregano, rosemary, sage, thyme, and watercress can be taken. Before the Full Moon, sow a green manure crop of adzuki bean, cowpea, lablab, mung bean, pigeon pea, soybean, Japanese millet, or sorghum. 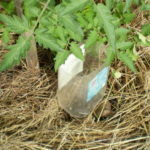 During First Quarter phase, capsicum, tomato and watermelon can be sown or planted out. During Full Moon phase, lemon grass can be sown or planted out, and mango planted. Before the Full Moon, cabbage, lettuce, silver beet, dill, nasturtium and sunflower can be sown directly into beds. Leek and spring onions can be sown as well as a green manure crop of adzuki bean, cowpea, mung bean, pigeon pea, soybean, millet, Japanese millet, or sorghum. During First Quarter phase, bush and climbing beans and sweet corn can be sown directly into beds. Capsicum, cauliflower, cucumber, eggplant, rock melon, summer squash, tomato, watermelon and zucchini can be sown or planted out. During Full Moon phase, beetroot, carrot, parsnip, and radish can be sown directly into beds. Banana passionfruit, passionfruit, dandelion, lemon grass and watercress can be sown or planted. Banana, mango, pineapple and mint can be planted. Cuttings of marjoram, mint, oregano, rosemary, sage, thyme, and watercress can be taken. In cool climates, there is still time to plant fast-maturing varieties of pumpkin, rockmelon and watermelon. 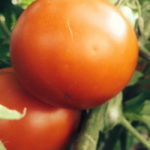 Seed for these can be ordered from Phoenix Seeds in Tasmania (PO Box 207 Snug, Tasmania 7054). Before the Full Moon, cabbage, grain crops, lettuce, silver beet, tatsoi, dill, and sunflower can be sown directly into beds, as well as a green manure crop of adzuki bean, mung bean, soybean, cereal rye, millet, Japanese millet, or sorghum. Broccoli, Brussels sprouts, leek, lettuce, spring onions, sweet basil and parsley, can be sown or planted our. In warmer areas, NZ spinach and nasturtium can be sown directly into beds, and in colder areas bulb fennel, open-headed Chinese cabbage, and mizuna can be sown directly into beds. During First Quarter phase, bush and climbing beans and sweet corn can be sown directly into beds, as well as suitable varieties of pumpkin, rockmelon and watermelon (see notes at beginning of post). Cauliflower, cucumber and zucchini can be sown or planted out, as well as summer squash in warmer areas only. During Full Moon phase, beetroot, carrot, parsnip, and radish can be sown directly into beds. Dandelion, pyrethrum, sage, and watercress can be sown or planted out, and mint planted. Cuttings of rosemary, thyme, and watercress can be taken. The moon planting calendar for all 2019 is now available for purchase. Click on the link in the men bar. Planting and gardening by the Moon phases is a centuries-old practice that is still used around the world today – because it works. It uses the same energy that controls our ocean tides. Sap flow and hormones in plants also respond to the variations in the gravitational pull through the Moon’s phases. Using this energy helps gardeners to achieve better germination and cutting strike rates, stronger growth, the best results from pruning, and know when to avoid planting because plant energy is low. Click on the link in the menu bar. Give tomato, capsicum and chilli plants regular deep watering and a light application of complete organic fertiliser as they start to flower. 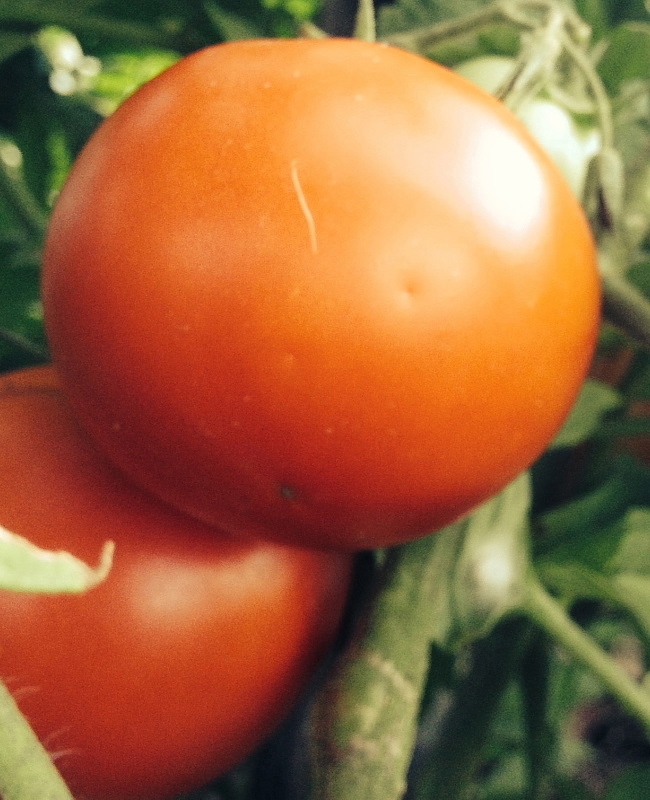 If soil is too dry tomatoes won’t be able to absorb enough calcium for healthy skins and your tomatoes will form black patches on the part opposite the stem (Blossom End Rot). Garlic should be getting close to maturity now. Slowly reduce irrigation as bases mature. Garlic needs to be harvested in dry weather, so keep an eye on weather predictions. It will dry (or cure) more quickly if you harvest after the Full Moon when sap flow is lower in the foliage part of plants. The following gardening advice is an abbreviated list for vegetables, fruit trees and some culinary herbs that can be planted during November in Australia and New Zealand. A comprehensive guide that includes planting times for the entire garden, as well as when to fertilise, prune, take cuttings or divide plants, can be found in the diary section of my book Easy Organic Gardening and Moon Planting, 2012 (with moon planting to the end of 2022). Advice to sow sweet corn in Warm climates this month will apply only to those areas that do not have almost continual rain in January – February. Pollination of corn is poor in wet weather, and the crop could be lost. However, corn of any variety can be sown as a green manure crop, though, because green manure plants are cut down when about knee high. Before the Full Moon, cabbage, suitable lettuce, silver beet, NZ spinach, nasturtium and sunflower can be sown directly into beds, as well as well as a green manure crop of adzuki bean, cowpea, lablab, pigeon pea, soy bean or millet, Japanese millet, mung bean or sorghum. Parsley, spring onions and sweet and purple basil can be sown or planted out. During First Quarter phase, bush and climbing beans, eggplant and sweet corn can be sown directly into beds, and pumpkin, rockmelon, summer squash, tomato, watermelon and zucchini can be sown or planted out. During Full Moon phase, beetroot, carrot, radish and sweet potato can be sown directly into beds, and banana passionfruit, passionfruit, pawpaw, pineapple, lemongrass and watercress can be sown or planted. 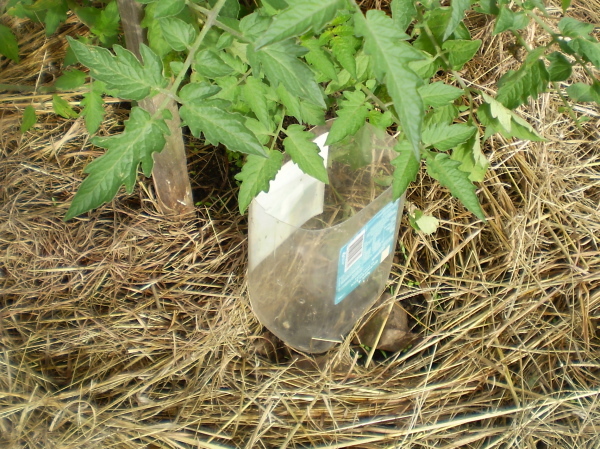 Banana suckers can be planted. Sow a green manure crop of adzuki bean, cowpea, lablab, pigeon pea, soybean or millet. During First Quarter phase, sweet corn can be sown directly into beds, and capsicum, eggplant, tomato and watermelon can be sown or planted out. During Full Moon phase, radish and sweet potato can be sown directly into beds. Banana, passionfruit, pawpaw, pineapple, and lemongrass can be sown or planted. Before the Full Moon, cabbage, grain crops, lettuce, rocket, silver beet, NZ spinach, dill, nasturtium and sunflower can be sown directly into beds, as well as a green manure crop of cowpea, mung bean, pigeon pea, soybean, millet, Japanese millet, or sorghum. Leek, spring onions, basil and parsley can be sown or planted out. During First Quarter phase, bush and climbing beans and sweet corn can be sown directly into beds, and capsicum, cucumber, eggplant, pumpkin, rockmelon, rosella, summer squash, tomato, watermelon and zucchini can be sown or planted out. During Full Moon phase, beetroot, carrot, potato, radish and sweet potato can be sown directly into beds, and banana passionfruit, passionfruit, pawpaw, and watercress can be sown or planted out. Asparagus seedlings, banana suckers, mango, pawpaw, mint and lemongrass can be planted. Before the Full Moon, cabbage, headed and open Chinese cabbage, bulb fennel, grain crops, mizuna, rocket, silver beet, NZ spinach, tatsoi, dill, nasturtium and sunflower can be sown directly into beds, as well as a green manure crop of mung bean, soybean, barley, cereal rye, millet or Japanese millet. Brussels sprouts, cabbage, celery, leek, lettuce, parsley, silverbeet, spring onions and chamomile can be sown or planted out. During First Quarter phase, bush and climbing beans and sweet corn can be sown directly into beds, and cauliflower, cucumber, suitable pumpkin and rockmelon varieties, summer squash, tomato, watermelon and zucchini can be sown. In warmer areas, capsicum and eggplant can also be sown. In colder areas, sow suitable broccoli varieties. During Full Moon phase, beetroot, carrot and radish can be sown directly into beds. Asparagus seed, chives, oregano, pyrethrum, rosemary, sage, thyme and watercress can be sown or planted out. Blueberry, cherry guava, mint, and evergreen shrubs, trees and vines can be planted. In colder areas, parsnip and lawn seed can be sown. Light applications of organic liquid fertiliser can help seedlings to establish quickly, but too much high-nitrogen fertiliser will result in too much soft growth that is very attractive to pests. The following advice on what to plant in October is an abbreviated list for vegetables, fruit trees and some culinary herbs for Australia and New Zealand. A comprehensive monthly guide that includes planting times for the entire garden, as well as when to fertilise, prune, weed, take cuttings or divide plants, can be found in the diary section of my book Easy Organic Gardening and Moon Planting, 2012 (with moon planting to the end of 2022). Before the Full Moon, cabbage, suitable grain crops, suitable lettuce, silver beet, NZ spinach and sunflower can be sown directly into beds, as well as a green manure crop of cowpea, pigeon pea, lablab, millet, Japanese millet, sorghum, mung bean, or soybean. Parsley, spring onions and sweet basil can be sown or planted out. During First Quarter phase, bush and climbing beans, eggplant, pumpkin, rockmelon, rosella, sweet corn and watermelon can be sown directly into beds, and capsicum, cucumber, summer squash, tomato and zucchini can be sown or planted out. During Full Moon phase, beetroot, carrot, radish and can be sown directly into beds, and asparagus seed, banana passionfruit, passionfruit, pawpaw, lemongrass and chives can be sown or planted out. Avocado, banana, citrus, tropical and cherry guava, macadamia, sweet potato, marjoram, mint, oregano, and sage can be planted. Before the Full Moon, cabbage, suitable lettuce, NZ spinach and sunflower can be sown directly into beds, as well as a green manure crop of cowpea, pigeon pea, lablab or millet. During First Quarter phase, bush and climbing beans, eggplant, sweet corn and watermelon can be sown directly into beds, and capsicum and tomato can be sown or planted out. During Full Moon phase, beetroot, carrot and radish can be sown directly into beds, and banana passionfruit, passionfruit, pawpaw and can be sown or planted out. Banana, citrus, tropical guava, macadamia, passionfruit, pineapple, lemongrass and sweet potato can be planted. Before the Full Moon, suitable Chinese cabbage, grain crops, rocket, NZ spinach, tatsoi and sunflower can be sown directly into beds, as well as a green manure crop of clover, buckwheat, millet, Japanese millet, pigeon pea, soybean – or sorghum late in October. Cabbage, celery, leek, lettuce, silver beet, spring onions, basil, dill and parsley can be sown or planted out. During First Quarter phase, bush and climbing beans and sweet corn can be sown directly into beds, and capsicum, cucumber, eggplant, pumpkin, rockmelon, summer squash, tomato, watermelon, zucchini and rosella can be sown or planted out. During Full Moon phase, asparagus seed, banana passionfruit, beetroot, carrot, Jerusalem artichoke, passionfruit, pawpaw, potato, radish, sweet potato, chives and lawn seed can be sown directly into beds. Avocado, blueberry, citrus, tropical and cherry guava, macadamia, mango, pawpaw, marjoram, oregano, sage, rosemary, French tarragon, thyme and evergreen trees, shrubs and vines can be planted, and turf laid. Before the Full Moon, headed and open Chinese cabbage, bulb fennel, grain crops, radicchio, rocket, tatsoi, coriander, dill and sunflower can be sown directly into beds, as well as a green manure crop of clover, barley, cereal rye, millet or wheat. Cabbage, celery, leek, lettuce, parsley, silverbeet and spring onions can be sown or planted out. In very cold areas, also sow Brussels sprouts. During First Quarter phase, bush and climbing beans can be sown directly into beds. Capsicum, cucumber, eggplant, tomato and chamomile can be sown or planted out, and pumpkin, rockmelon, summer squash, watermelon and zucchini can be started in a cold frame. During Full Moon phase, carrot, Jerusalem artichoke, potato and radish can be sown directly into beds. Also sow or plant out asparagus seed, beetroot, globe artichoke and chives. After frost, blueberry, potted grapes, cherry guava and evergreen shrubs, trees and vines can be planted. Also sow lawn seed or lay turf.